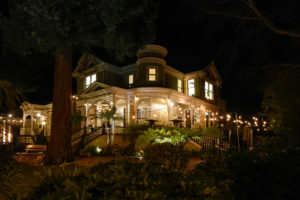 The Palms restaurant is located in the historic Coggeshall Victorian Mansion conveniently located in downtown Los Gatos. Celebrating the culinary traditions of the Pacific Rim and taking cues from island cultures, The Palms restaurant delights guests with delicious flavors and signature dishes. Whether enjoying a savory entree or catching a casual bite, The Palms offers a relaxing ambiance in both indoor and outdoor dining settings. The Palms restaurant also features a full bar and seating area ideal for smaller plates while socializing and watching your favorite sporting event.